Question - are there songs, or some music that seem to speak to you deep inside? Have you ever played a tune and it reminds you of something you once did, or a holiday, or a certain person? Music has a great power. Not surprising, as God created it and we know that angels in heaven spend time worshipping God, singing, "Holy is the Lord". Does it sound a bit boring? Well, believe me it won't be. It will be the most powerful singing, with incredible harmonies, colours, rhythms, musicality and atmosphere. You'll experience music in several dimensions, not just by hearing it. It will be indefinable and unbelievable! Encourage people to talk about their favourite worship songs and maybe why. A set of DJ decks (CD, mp3 or vinyl) takes a minute to set up. 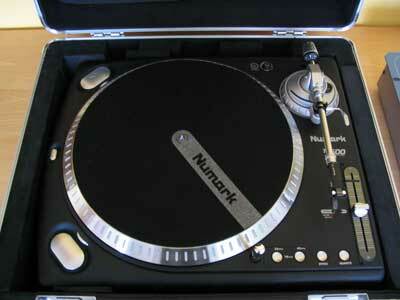 You have to have the right products (2 decks), they have to be working and vinyl decks need a needle. Then the leads from the decks have to be connected to a mixer. All the products need power. They have to be connected to a PA so that the sound comes out and the people can hear the tunes. So what? Well, in our Christian lives, we have to be 'set up correctly'. The Bible is more than an instruction manual, it needs to be your inspiration, your guide, your help, the first place you turn in all situations in life - along with praying to God directly. In the Bible, as in the Christian life, there are foundations that we need in order to be right with God and to grow as a disciple of Jesus. The wise Christian is someone who builds their life on a solid foundation - things like following Jesus, the Bible, prayer, going to church, listening and obeying God, being open to the Holy Spirit, wanting and choosing to grow.. This is the same as the DJ decks. Unless they're set up properly, the sound won't come out. But then, once the decks are set up, there are other things that we need to take note of.. 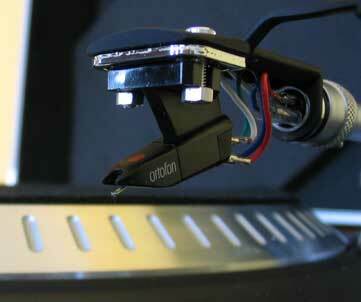 When you play vinyl you can play it at 45rpm or 33rpm (revolutions per minute - the amount of times the record turns!) You have to choose the right speed else you'll sound like Barry White, or like the chipmunks! I have to make sure the needle is correctly set so it plays the record and doesn't jump off or damage the vinyl. The Christian life isn't simply about making one decision and then you're sorted. Like anything, it takes work. God said he'd change us step by step, right choice by right choice and from 'glory to glory'. This simply means that as we obey God and choose to grow as a disciple, we become more like Jesus. You know those energy-saving bulbs that you can buy? When you turn on the light, they start off quite dim but gradually get brighter. That's what we should be doing as Christians!! You need to check yourself today. Are you being 'salt' and 'light' to people around you? Are you any different to your mates? Being 'salt' means making an impact on others. Being 'light' means loving and being like Jesus to people. In this section, assemble some music that means a lot to you, along with reasons why. This can be 'Christian' or 'secular' music. Can you think of any songs that have a message behind them? Encourage people up to talk about those songs. Black Eyed Peas - Where Is The Love. Because this song speaks about injustice and a return to moral values. 2Pac - Ghetto Gospel. An song out of the heart of hip-hop and the ghetto but a cry for change. To be role models not 'gangstas'. Nas - I Can. This has a positive message about going for things in life, encouraging people to follow their dream. DMX - Lord Give Me A Sign. Like in Bruce Almighty, everyone is seeking something spiritual, even asking God for a sign. Common - I Have A Dream. Sampling Martin Luther King, Jr. "Tryna make it from a gangsta to a godlier role"
Nas & Pitbull / John Lennon - Imagine. Interesting, powerful track as it talks about putting faith in Jesus and getting right with him. 1 Samuel 16:23 - "Whenever the spirit from God came upon Saul, David would take his harp and play. Then relief would come to Saul; he would feel better, and the evil spirit would leave him." 1 Chronicles 15.16 - "David told the leaders of the Levites to appoint their brothers as singers to sing joyful songs, accompanied by musical instruments: lyres, harps and cymbals." 1 Chronicles 25.6-8 - "All these men were under the supervision of their fathers for the music of the temple of the LORD, with cymbals, lyres and harps, for the ministry at the house of God. Asaph, Jeduthun and Heman were under the supervision of the king. Along with their relatives—all of them trained and skilled in music for the LORD -they numbered 288. Young and old alike, teacher as well as student, cast lots for their duties." Music has a power. That's why Satan has tried to corrupt it all. When the original multi-talented musician, David played his harp, we read from the Bible that an evil spirit left Saul. So the power of Godly music is that evil has to flee. We need to know that our Christian worship and music has a power that should be (and does) send the enemy running. That's just one reason why musical worship should have such a high priority in all our churches, however we do that. It brings liberation, freedom and touches God's heart. MTV said once that they 'own young people'. So what they're saying is that they are the ones who choose what teenagers listen to and like. It's not just them - many others think this. The advertising industry spends millions every year to convince you that you need what they're selling. The message behind most music in the rap / r&b sector is about getting rich, you doing what you want, making it, being happy because you're famous, having loads of women around you etc. But the truth is this doesn't make you happy. So you need to choose how you respond.. Are they any of you who want to make a difference in the music / advertising / media industry? Get training, stay plugged into God and go for it. Others of you may need to choose more carefully what you listen to - don't waste money on music that pulls you down and drags you under! Get lifted up - buy worship music, support Christian bands, don't illegally download or share music, get secular music that's positive, uplifting, inspiring. Some of you should take up an instrument and get playing. Talk to your youth or worship leader about playing in the worship band, or at youth group leading worship. Others may want to form a band and get out there in the marketplace to rep God. Go do that. But always remember that you need a strong faith to stay true to God and not love the world's way of doing things! God is more than enough and will reward you if you stay strong for him! What has God been saying to you today? Make a response and decide to change. (For those running the session, print off the sheet below and if you've got time, cut around the little vinyl records and hand them out. Young people can write in the centre as their response).